Born on July 16, 1972 in Moscow. He graduated from the Finance Academy at the Russian Government (Financial University) and has worked at various banks and investment companies. 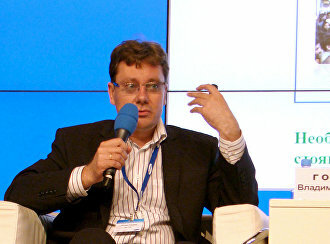 2006-2012: Director, the Strategic Planning Department, Sitroniks. 2012-2013: Deputy Head, Strategy and Development Department; Head, Strategic Planning, Analysis and Monitoring Department, RTI. Since 2014, Deputy Executive Director, the Integrated Security Systems Department, RTI.